LG Nexus 4 runs stock out of the box , Android 4.3 . Anyways , the users of the Nexus smartphone who really want to enjoy a custom Jelly Bean experience within a lightweight package can now download and install the the new SlimBean stable ROM. 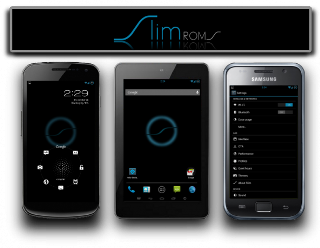 The SlimBean stable ROM is a creation of SlimROMs team which is offering the best Android 4.3 custom features within a small package which runs on minimal device memory. NOTE: Instructions given here are meant only for reference. We are not held liable for any damage of the device during or after the installation of the firmware. Users are suggested to proceed at their own risk. Download the Android 4.3 SlimBean Stable ROM and the Google Applications package for LG Nexus 4 youre your computer. Plug in your mobile to your computer with the usage of the original USB cable and then copy the downloaded SlimBean Stable ROM and Google Applications zip files into the root folder on the SD card of your mobile phone. Swithc off the phone and then boot the device into Bootloader Mode, and then proceed into the Recovery mode . In order to do so , press and hold Volume Up and Volume Down buttons together and then tap the Power button until you see the menu of Bootloader / Fastboot mode is displayed on the screen. Hit the Volume Down or Up until the Start text on your mobile screen changes into Recovery Mode. Then hit the power button for the confirmation of entry into Recovery mode. In CWM recovery, click Install Zip from SD card and select the ROM zip file copied earlier to the phones SD card (repeat this step for the installation of Google Applications also). Once you select the ROM file, allow it ROM for its installation on your device .It may take about five minutes to complete. Select the Reboot System Now once the device is updated, in order to reboot the phone into the newly installed ROM. SlimBean Stable ROM is now successfully installed on your Nexus 4. Go to Settings > About Phone to check the firmware version installed.